If your company needs a fresh new look and you’re open to creative ideas. My team can sketch it, color it, and produce it in various mediums to launch your next branding initiative. A chain of family resorts wanted new characters to greet their guests. 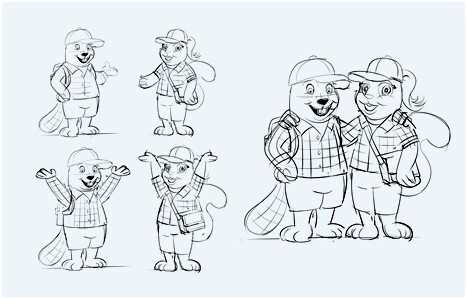 The characters would be needed for flyers, commercials, website promotions, physical toys and wearable mascots. Initial sketches are approved and finished in black and white. Sketches are refined and done in color for approval. 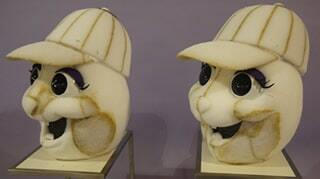 A color board is created to give to various designers to turn in to stuffed toys and wearable mascots. The color and style guide help to keep the look consistent from one art form to the next. Finished graphics are created to use in print ads and online. Suits are made of the characters to greet guests and take them for wagon rides at the resorts. 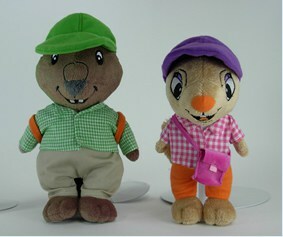 Stuffed toys are made to give the guest something to take home with them to capture the memories and fun from the resort.